How does one obtain a different variation of a vehicle? For instance, the APC is gray, but I've seen one that's a different colour. Is this done through an achievement or by beating a certain time on a track? You need to Fully Upgrade in order to unlock the next variants that it has available to it, there are 3 different variations, as the more powerful that variant is, the more expensive and has more levels to upgrade it fully. S = 10 levels. GT = 12 levels. SX = 15 levels. Kind of wish this had been something that was mentioned when the game was downloaded, but still...it is nice to know that Hutch put a little more thought into vehicle upgrades. For example, The Muscle, the normal version is Purple, the GT version is Blue and the SX1 is Yellow. The APC is gray, the GT is blue, and the SX1 is orange. Each level starts the upgrading process over again, which is nice. Really liking that gold can be used to upgrade a vehicle if you don't have the patience to grind out the dosh. It also goes up beyond SX1 to different colours (no performance benefit though). Boo on the performance benefit DEMORPH. I figured that out after hitting SX4. Doh!!!! 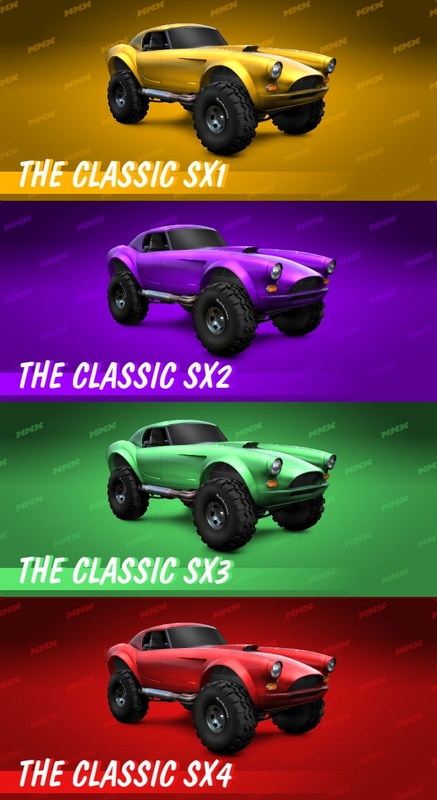 Could somebody screenshot what the colours of all of The Muscle variants are from SX1 to SX6 please? It would be good if we could be able to choose the default colours we want on those vehicles, or being able to create colours of our own via a colour mixer with R.G.B. Could you do the same with The Classic & The Micro please? And how can you take screenshots of the vehicles in-game? This, but after SX2 is unlocked, then you can select your own from a colour pallette. Hmh... interesting. I'll have to try that out on The Muscle as I have nearly Fully Upgraded the SX1 version. a GIF Image would help though. I meant that as a suggestion, not that you can do that now. I just think it would be a great addition since it would award the dedication a player put into a certain vehicle. 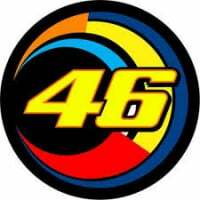 Remember, if anyone is posting ideas for the next update, then please post them in my MMX Hill Climb Update Ideas Thread: http://forums.hutchgames.com/discussion/143/the-mmx-racing-update-ideas-discussion-thread#latest So that the developers can go there and use our ideas for upcoming Updates. I came here to see what the car between the Classic and the Buggy was when I look at a track and which vehicles have completed it. I now see from the upgrade pic provided by Hutch that it is called the Muscle. However I don't have an option for this car in my game. Any help on this? Thanks. I recommend contacting the Hutch support team and mentioning this. Is there anyway I can pick which of my friends ghost that I'm racing against instead of just racing the one with the next best time as me? Unfortunately not. The ghost you race against will always be the next fastest time on your current leaderboard. Ask in 2 places on the forum.. maybe you will get a different answer. So I am correct is assuming that there is no benefit to continually going for the next SX model since they cap off upgrades at 12. Am I right? There is no performance benefit beyond SX, but you do get fancy coloured trucks that no one else will have. Consider it a badge of honour.